You can achieve many different design aesthetics by combining our building system with different exterior wall treatments. 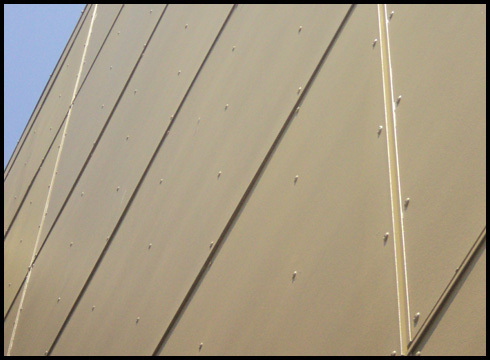 We offer ACM (Aluminum Composite Panels), a wide variety of decorative steel panels, brick panels, stone panels, fiber cement panels, stucco panels, etc. 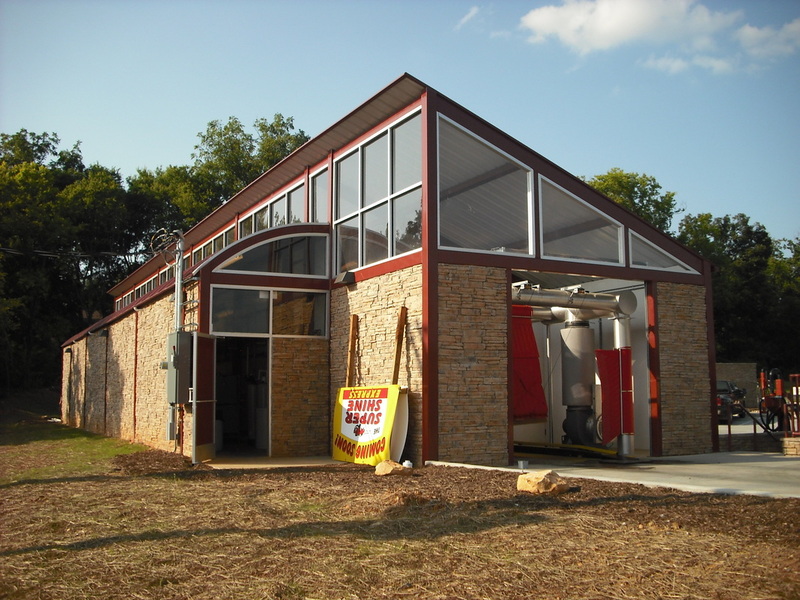 You can also have specialty finishes on site after your building arrives. 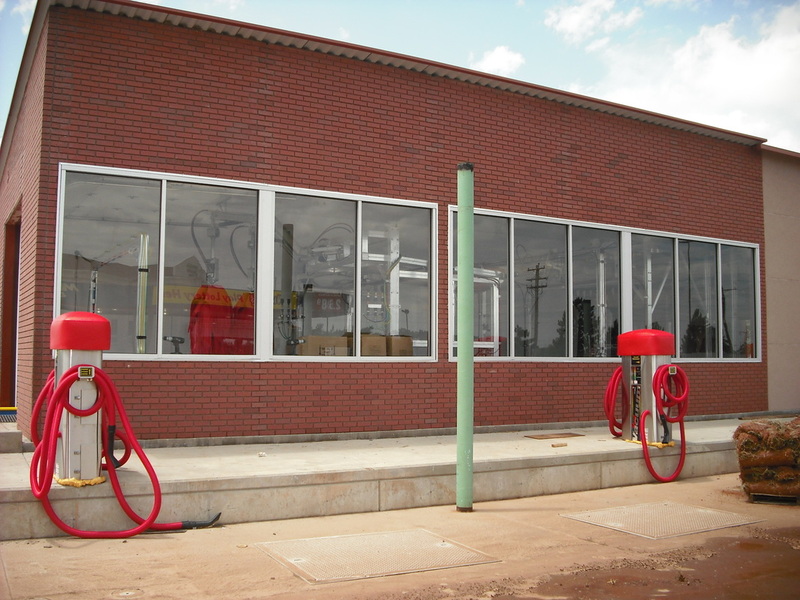 Several customers have used traditional split face block infilled between our columns as both the exterior as well as the interior wall finish. This is a very inexpensive option as both wall planes are formed with one material. This is the answer in several cases but also is somewhat plain and in fact will not meet the criteria for several cities. 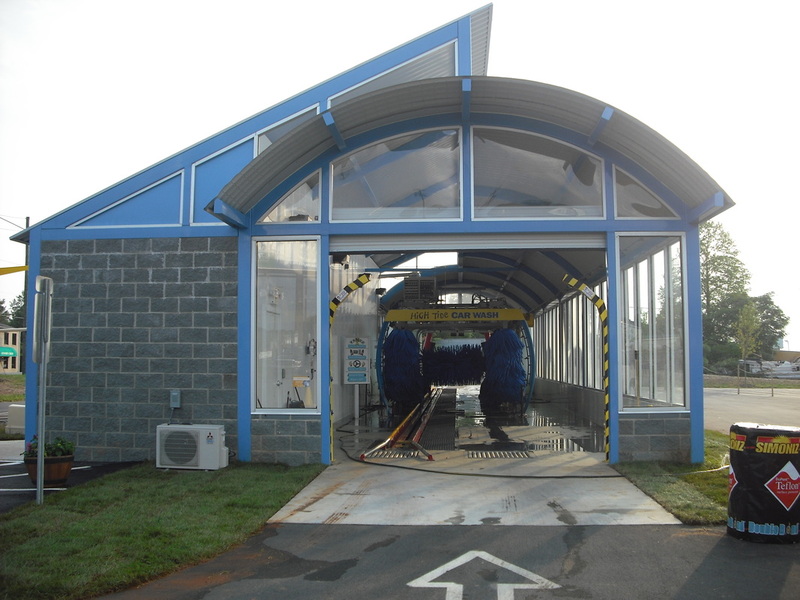 Please Contact Us for specific information as to the many options of wall treatments on your new Modernwash. The Above renders show the example of a 518e (on the left) using a Yellow ACM panel as the main wall treatment. The same 518e model is shown on the right but has used brick and or brick panels to achieve a totally different look. Remember that the way to achieve a really interesting structure is to "layer" more than one material on top of another and or use more materials as accents. Think stone bands in the brick or using corrugated sign panels on top of portions of the brick wall. It is always important to consider the surrounding structures wherever you build even if there is not a specific criteria or exterior treatment code. 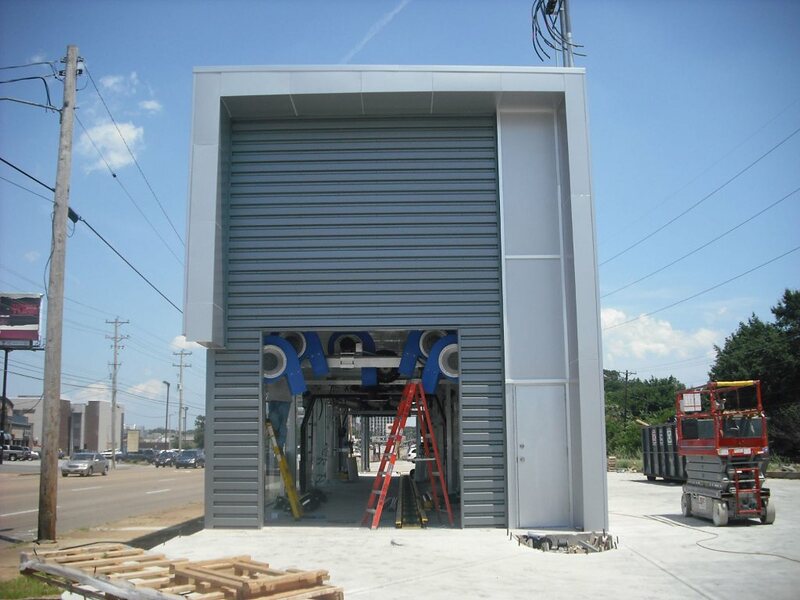 We are always happy to review the photos or information that you send regarding your site area, so that we can provide you with multiple choices of differing wall materials. 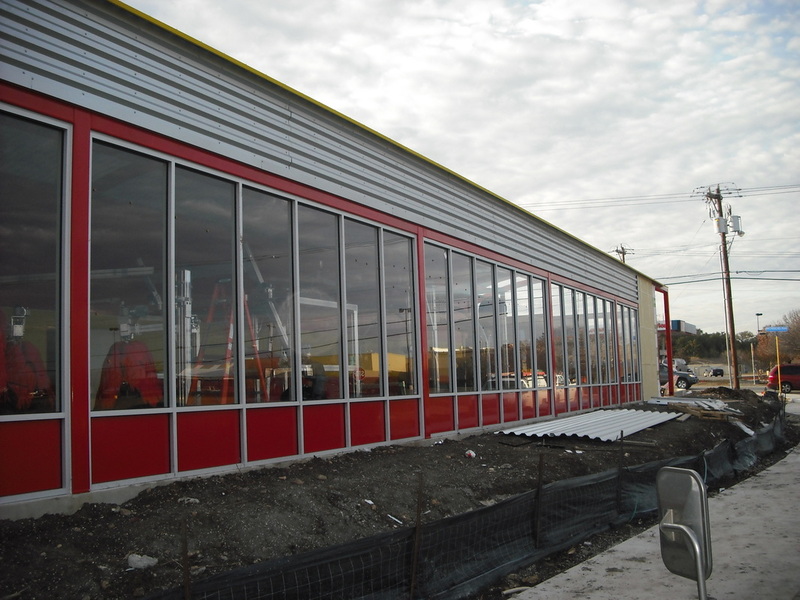 Our i-5 Glazing System is basically a storefront style 4 1/2" aluminum framework that secures our glass sheeting. 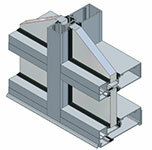 The system has a European style mullion that is slightly less narrow than most systems available in the United States. This gives a little more modern design and allows for less sight line static. 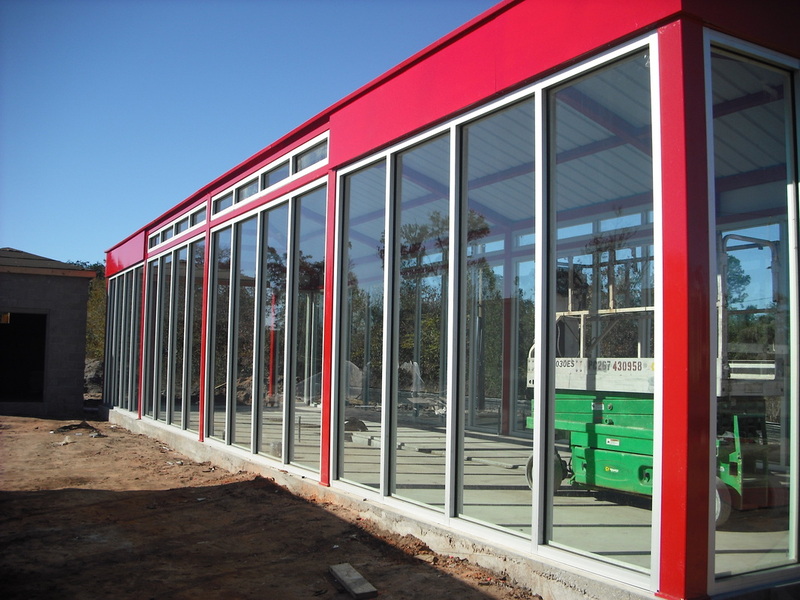 We use the i-5 Framework to not only secure our glazing but also our optional exterior acrylic opaque panels, sidewall polycarbonate, and smooth steel wall panels. 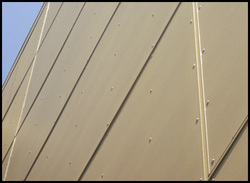 These can be a very economical option as cladding for your equipment areas. 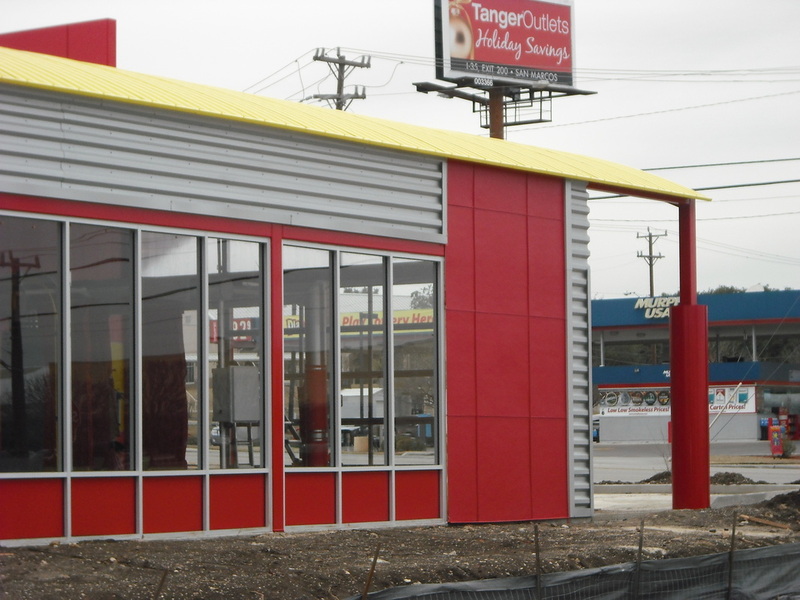 We offer aluminum composite panels as an optional exterior finish system. 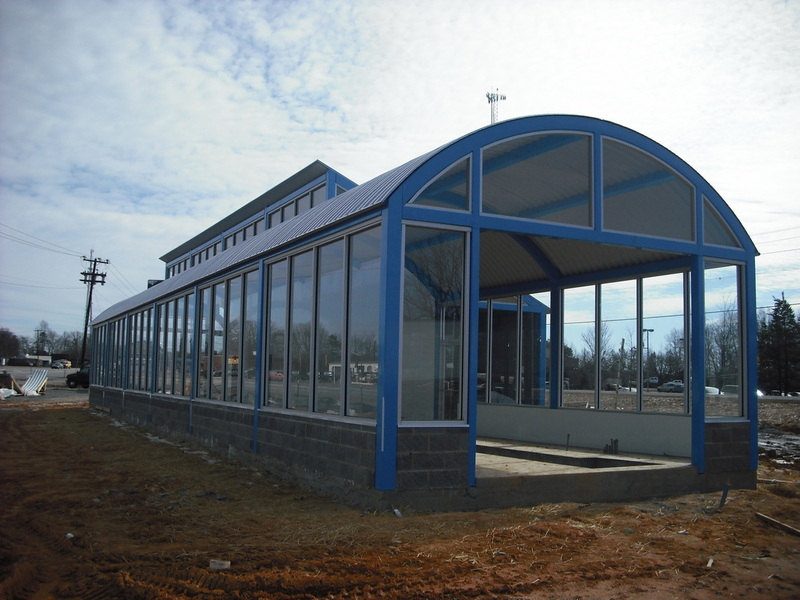 You may see this on banks, automobile dealerships, and many types of high tech modern structures. 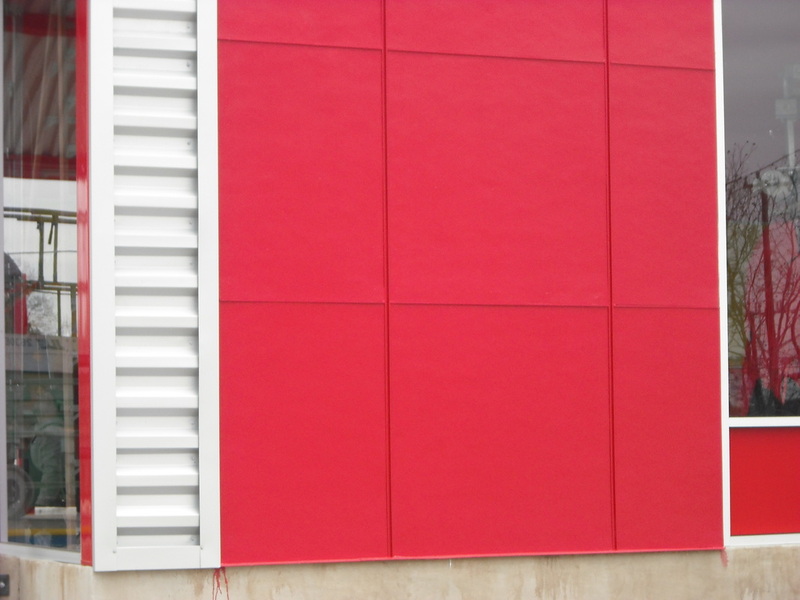 We also offer a fiber cement panel that somewhat mimics an ACM panel aesthetic. 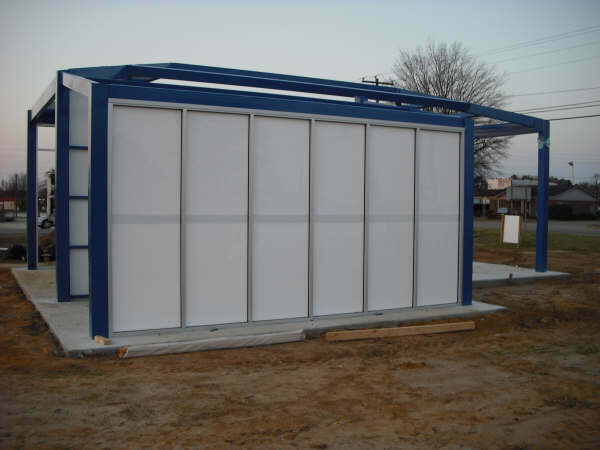 Our Stucco Panels feature a concrete coating on a fiber cement backing board. 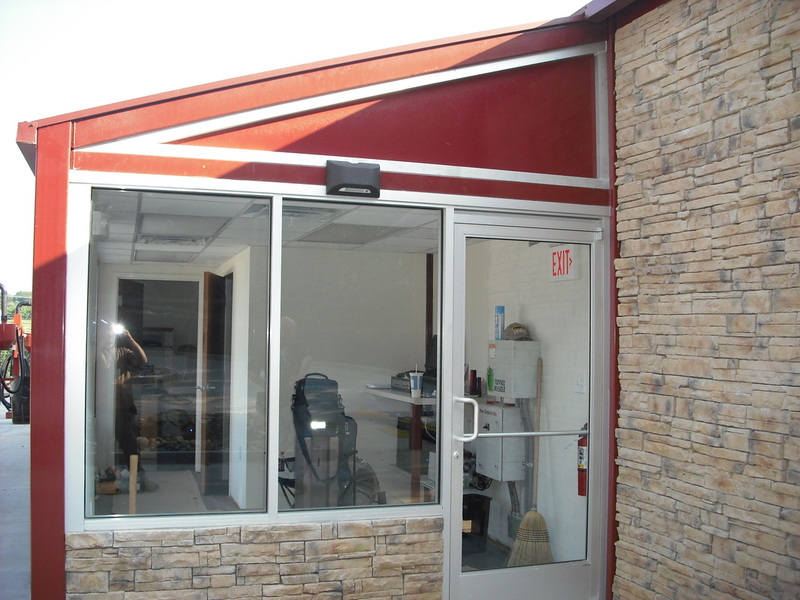 They resemble a slight stucco finish but feature a faster installation than traditional stucco. This is a long lasting material. 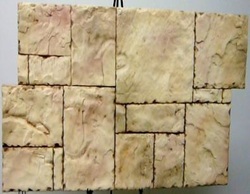 Our Brick Panels feature a brick like design on a fiber cement backing board. They resemble a brick finish but feature a faster installation than traditional brick. 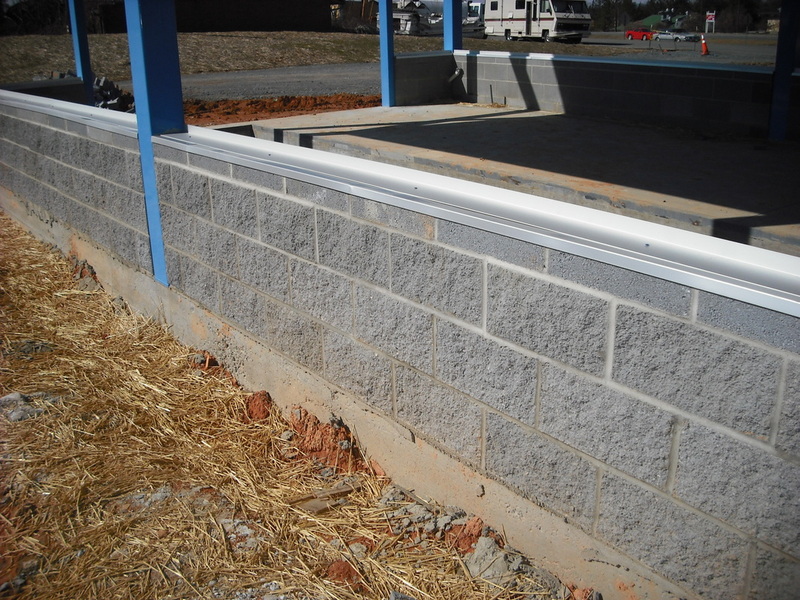 Does Not Require Special Preparations Like Those Needed For Real Brick Like Footings, Wall Treatment etc. Our Stone Panels feature a stone like design on a fiber cement backing board. They resemble a stone finish but feature a faster installation than traditional stone. Does Not Require Special Preparations Like Those Needed For Real Stone Like Footings, Wall Treatment, etc. 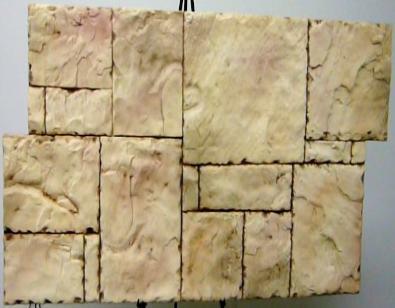 Our Stacked Stone Panels feature a brick like design on a fiber cement backing board. They resemble a Stacked Stone finish but feature a faster installation than traditional Stacked Stone. Does Not Require Special Preparations Like Those Needed For Real Stacked Stone Like Footings, Wall Treatment, etc. 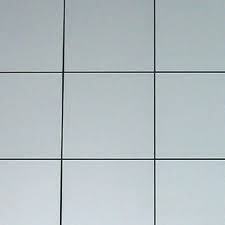 Our Opaque Acrylic Panel Shown At Eq. Rm.